Hello friends, followers, and random observers. As you may have guessed, the time has finally come to publicly announce the end of Smells Like Grape. It's been a long time coming, though it has been a kick to watch the blog statistics maintaining the same traffic trends we peaked at a year ago week after postless week. Fascinating as that has been, I think we've reached the limit of stat-watching's entertainment value. My thanks go out to everyone we met along the way through this blog. It has been a lot of fun meeting you all and learning new things. I hope our paths will cross again many times--preferably with wine (no offense, you're great straight. We love you). Okay, without further hoopla, I prepare to click "Publish Post." Gotta do it quick before I change my mind (again). So long and thanks for all the wine. Sorry to see the two of you ending matters. I wish you both much luck in whatever new path you choose. Hope to still see you around at local wine tastings. Thank you Richard! I'm sure we'll see you around the 'hood! Heartbroken I am. Miss you we shall. Force be with you always may the! thank you I do. Around see you we shall! OH NO, I just found you, bookmarked you, only to find that you are closing blog shop. What a disappointment. 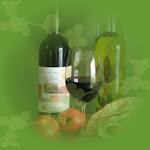 I hope the blog will remain at blogger, as I had planned to check it now and again when shopping for wine. I always like wine.alltop.com as a place to scan all the recent wine blog activity. We'll always have WBC 1 Roomie! Thanks Megan :) WBC 1 will always be the first and the best! The Best Featured Roulette Software in the Market, Just test our roulette software system and strategy to make Roulette most easy and enjoyable. We are Leading Software Development for Roulette. We have an website auctionwebsitescript, Which provide professional Auction Script Software offers flexibility and advanced features that are simple to deploy and easy to manage. It's too bad to see that this closed down. I had perused through some of the wine reviews and quite enjoyed reading it. I guess I came a little late to the party. Italian Wine Label or What the hell is this? Thanks you for your interest in SmellsLikeGrape. This blog is officially closed.